CHRISTIE BRINKLEY AUTHENTIC SKINCARE WITH IR DEFENSE – WANNA WIN? Before we get to Christie Brinkley Authentic Skincare, that IR-Defense thing, and our Canada + USA giveaway, let&apos;s recap a bit. I think we can all agree that Christie Brinkley has fan-freaking-tastic skin. Also, there&apos;s her status as the hottest 61-year-old babe on the planet. Plus she&apos;s enjoying an incredible modelling career that spans more than 40 years and includes a 25-years-plus contract with CoverGirl. Oh, and she&apos;s performed on Broadway, published a book (she&apos;s working on another), has her own fragrance, as well as a line of hair extensions, and designed a costume jewelry collection, too. 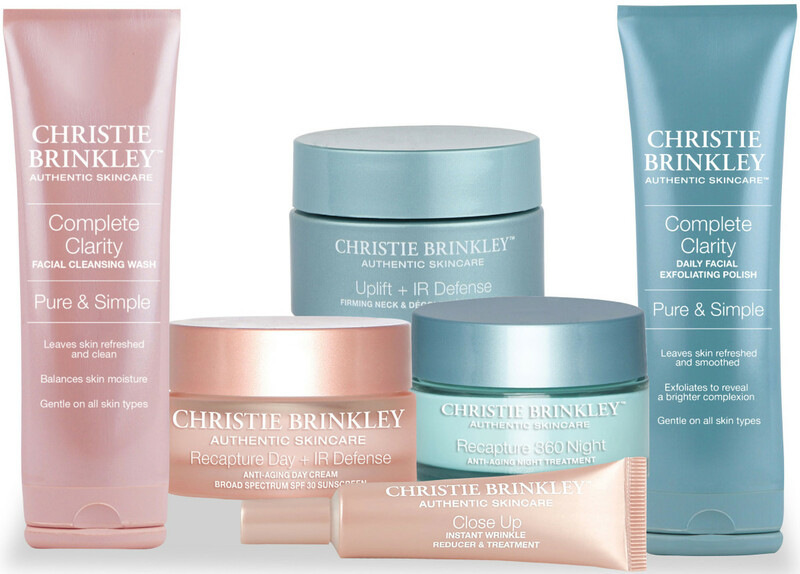 Launched in March 2015, Christie Brinkley Authentic Skincare is one of the supermodel&apos;s latest projects, and she&apos;ll tell you more during her Home Shopping Network (HSN) appearance at midnight tonight and tomorrow. But while you&apos;re here, let&apos;s look at a couple of things (and more photos of Christie for inspiration). Christie collaborated with well-known dermatologist Doris Day on the formulation of Christie Brinkley Authentic Skincare. Dr. Day is highly respected for her skincare knowledge and her approach to healthy, youthful skin. She&apos;s one of the most-often-quoted derms in US beauty magazines and a regular expert on the television circuit. (I interviewed her for this skincare story for The Kit, too.) Dr. Day has serious cred. So there&apos;s that. Now let&apos;s touch on the "IR Defense" part of the Christie Brinkley Authentic Skincare line. Over the past few years, new studies have suggested that in addition to UVA and UVB rays, we should be guarding against infrared radiation (IR) exposure too. It seems three types of infrared radiation -- A, B and C -- make up 54% of our sun exposure (UVA and UVB combined = only seven percent). And 30% of that 54% is infrared IRA, which penetrates the skin more deeply than UV to create free radicals and accelerate signs of aging. Sheesh. So how do we deal with this infrared-radiation aging threat? Potent antioxidant blends such as the Idebenone + Thiotaine combination in Prevage Triple Defense 50 SPF Sunscreen Sheer Lotion ($95 at mural.ca and $79 at birchbox.com), which launched in 2012, and powerhouse antioxidant serums like Skinceuticals C E Ferulic ($159 at thefreedomstore.ca and $162 at dermstore.com) are options. And now so is Christie Brinkley Authentic Skincare Recapture Day + IR Defense Anti-Aging Day Cream SPF 30 ($69 at HSN.com) and Uplift + IR Firming Neck and Décolleté Treatment ($79 at christiebrinkleyauthenticskincare.com), which contain a knotgrass extract marketed under the trademarked name "Elix IR." 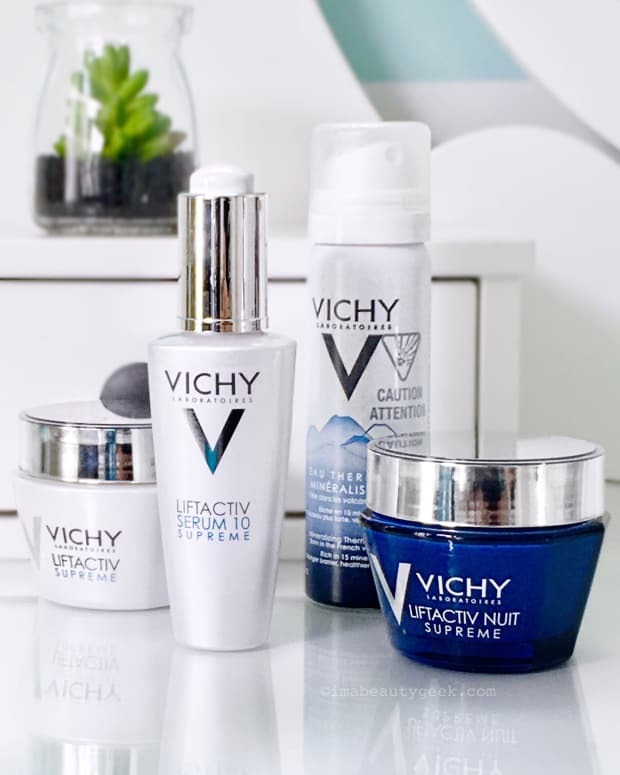 This extract apparently contains high levels of flavonoids (antioxidant-rich plant molecules) that help to protect skin against infrared radiation&apos;s aging effects. 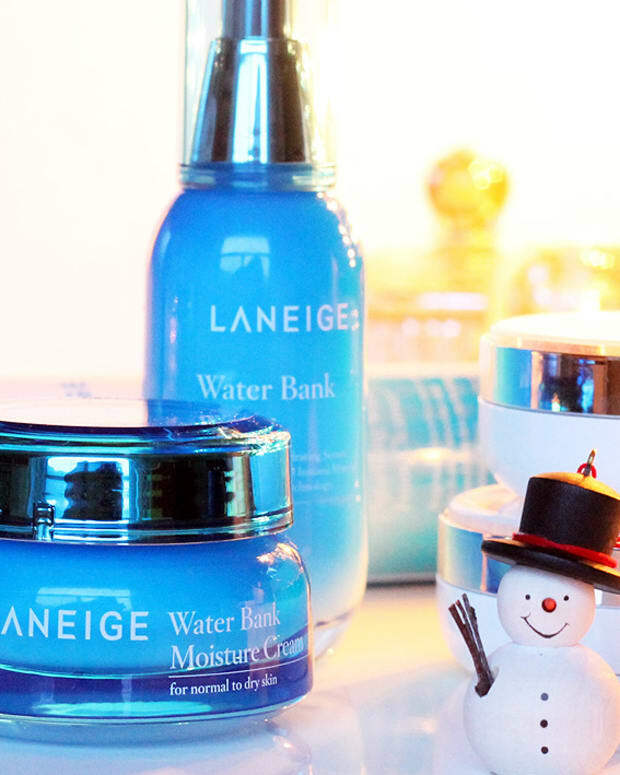 Additional good-for-skin ingredients include a "bio copper complex" to help firm skin and minimize the appearance of fine lines and wrinkles, and Vitamin C to trigger collagen production and reduced pigmentation. As well, the line is vegan and hasn&apos;t been tested on animals. Now let&apos;s get to our giveaway ! Christie Brinkley Authentic Skincare Complete Clarity Facial Cleansing Wash and Recapture Day + IR Defense Anti-Aging Day Cream SPF 30: win this! 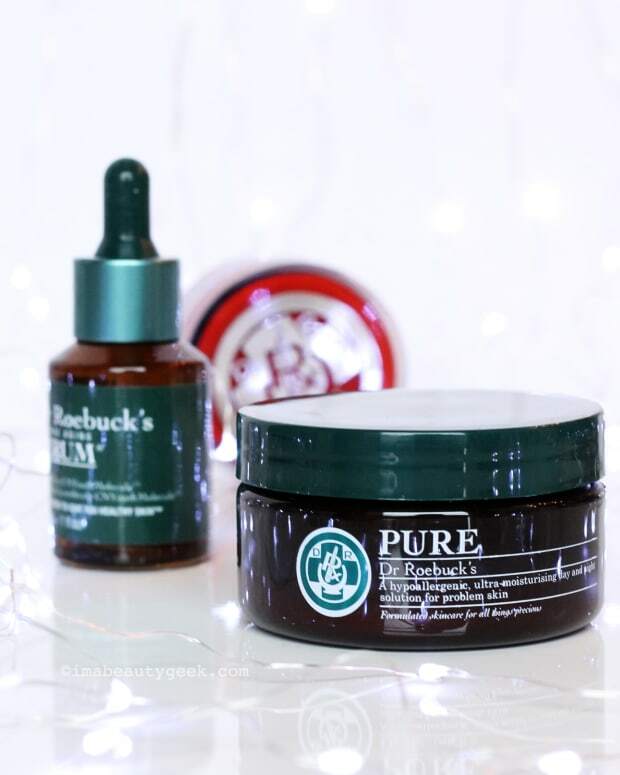 Beautygeeks and Christie Brinkley Authentic Skincare are pleased to offer you lovelies the chance to win a Christie Brinkley Authentic Skincare Complete Clarity Facial Cleansing Wash and Recapture Day + IR Defense Anti-Aging Day Cream SPF 30. Although the line isn&apos;t yet available in Canada, we&apos;re choosing a Canadian winner as well as one of our friends in the US! We&apos;re accepting giveaway entries until midnight on Wednesday May 20th. We&apos;ll select our winners via random selection and alert them via email shortly thereafter. Good luck! No purchase is necessary; prizes may not be exactly as shown in the image in this post. Contest void where prohibited by law. To enter the Contest you must be a resident of Canada or the USA who has reached the age of majority in his/her province or territory of residence at the time of registration and/or entry. Employees, officers and directors (and immediate family members and members of the same household of such persons, including common-law spouses) of the Home Shopping Network and Christie Brinkley Authentic Skincare, and their respective affiliates, agents, advertising or promotional agencies, suppliers of prizes and the independent contest organization are not eligible to enter the Contest.